Join the biking community once a month this summer during Bike Friday and get thanked for riding your bike to work! There will be free breakfast at City Hall Plaza from Boloco and more! 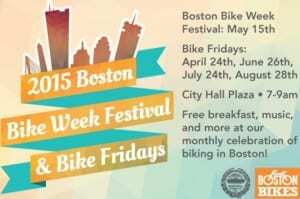 The dates for Bike Friday are June 26th, July 24th, & August 28th as well as the Boston Bike Festival on Friday, May 15th, 2015. The Bike Festival on Friday, 5/15/15 will include free breakfast, vendors, music, and fun! 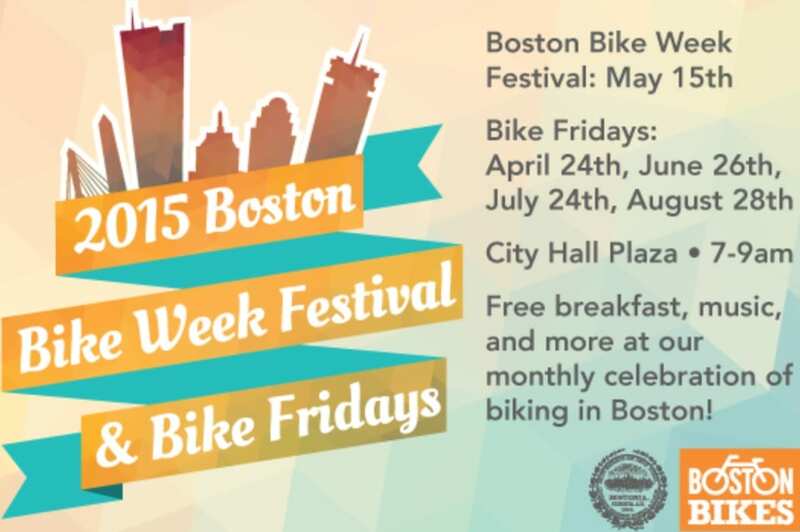 For more information about Boston Bike Week and Bike Fridays this summer, please head here!